When we talk about blog posts, you probably have heard things like Yoast SEO, WordPress SEO, meta description, long-tail keywords, social media, keyword density, title tag, keyword planner, search volume, anchor text, and so on. And, you have probably wondered what it all means. In this article, we are going to concentrate on “keywords.” But, how can you choose a keyword for their blog post if you don’t know what keyword research is all about? Let’s start with keywords. A keyword is a word that will draw upon the significance of your post. Think the focal point of the entire article brought back to one topic, one word. This one word means so much in terms of your post. This is the word your clients will be searching and what determines your ranking score. When we link this word to keyword research we are deciphering the code that is the focal point in which you choose for your audience. Researching it means understanding how that word is used on the Internet, in sales, blog posts, information sites and every place you or your client might land upon that word when searched—in this case, blog posts. This is the basis of Search Engine Optimization (SEO). When we think of SEO, and keyword research, we want to understand the “hows” and “whys” of choosing a word. What makes specific words better than others in search engines when choosing your focus keyword. There are many tools on the web that will actually help you choose your perfect focus keyword. You can look up several words and view how many times that word is searched on average per month (AMS) and the cost per click (CPC). 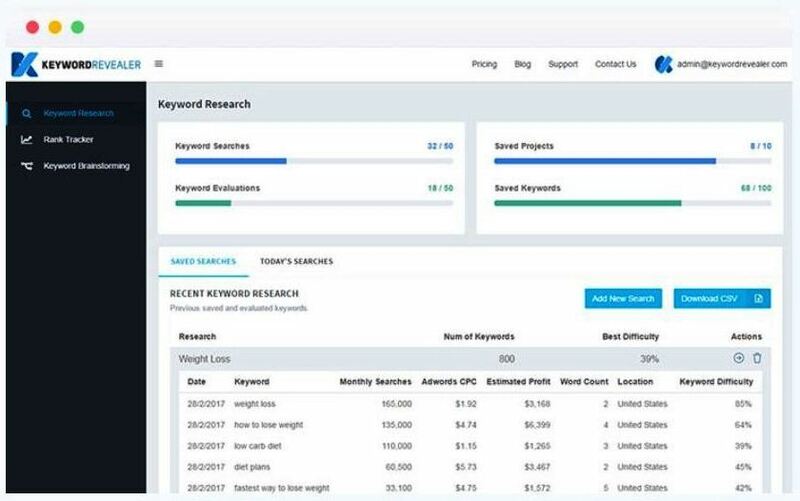 Tools like Keyword Revealer will give you these statistics which “are crucial in determining whether it’s feasible to target a keyword or not” says the company behind the website, and step-by-step tutorial. When we maximize the number of visitors to our business’ website, we can ensure that our webpage link appears high on the list of searches by a specific search engine. 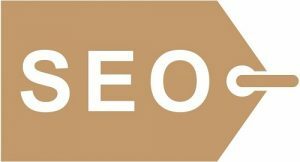 This is SEO. Choosing a focus keyword that is recommended by keyword selection tools is the extra step you need to ensure your business blog posts gets the traffic it deserves. Having the wrong keyword can severely damage your website and even your brand. When you start a business you need to start from the ground up. Think of the message you want to convey with your brand, is there a topic that you want your audience to be knowledgeable on? There’s a helpful hint for you for on basis of your brainstorming. How does competitive analysis help with choosing the right keyword for your blog post? The best way to outsmart your competition is by knowing your competition. Let’s not forget the wise words of Francis Bacon, “knowledge is power.” The more we know about the competition the better off we are to ensure we are making the correct word our focus keyword for our blog post. We always want to ensure we will have the most traffic on our sites. This is only possible by finding out what the competition is doing and ensuring your strategy outdoes theirs. A simple solution to find out what your competition is doing is by Googling them! If you are looking to bring traffic to your site through relevant content then the content should be relevant to your site and the topics in which you want to bring people to your site for. When you type a word into Google what appears is a suggestion box. The words that follow your typed potential focus word are both logical in terms of phrasing or have been searched in the past. The suggestions do not stay the same. This is one of the reasons that although you may think that a one-word answer will get you the most relevance to your blog, it will, in fact, have the most amount of competition. Choosing a word that is often used is great but you will need to incorporate it into a long tail keyword for the most amount of traction. A long tail keyword is best used for a blog post when trying to capture the audience for a dynamic and narrowed in grasp on what you are bringing them in for. Hypothetically, if your business sold yoga apparel, instead of creating relevant content about just yoga mats, which would have a high content ratio and a ton of competition, your focus keyword for a blog post should be a long tail keyword. The way to choose a long tail keyword is by showcasing what makes your product or brand different. What makes your yoga mats special? For example, you could write about “7 Non-slip Yoga Mats for your best practice yet.” By extending the core words you want to use into something more specific like “non-slip yoga mats, rather than just yoga mats you are able to narrow down the focus and, therefore, rank much higher on search engines. The next time you try and search for something you are looking for, be it your next vacation, or that new game that just came out, think of the exact specific thing you are trying to look up. Let’s say you just wanted to buy the newest game that hit the shelves, so you search “New video game” your search results are going to be astronomical! Next, you add the date it came out, the store it is in and the name of it, boom! There’s your game. This specific approach applies to blog posts as well. The point of them is to bring traffic to your site by posting relevant content. You now have your focus keyword for your blog post and you have created your content for your blog… but how do you know it’s good? Thankfully, there are analytics out there to ensure that you rank among the stars—and we mean high! Try out our favorite simple solution to keyword research for free to ensure you are on the right track. Whether you are selling yoga pants or doggie biscuits, a functioning online business must have traffic and it all starts from bringing relevant content to your site with a blog post and choosing the perfect focus keyword for it! Building a business or even just a content blog can be tough. Thankfully, we have tools at our disposal to ensure that all those clicks get our clients focused on your content.